Just added some craft importers and distributors to the bottom of the page. Check it out! We’re just beginning to build our Korean craft beer directory. If you own or support a Korean craft beer business that you want included, please contact us on Facebook. An early Korean craft beer company, 7Brau can be found in select CVs and grocery stores, pubs and restaurants, their own craft beer pubs, and they also contract brew some other craft beers. This small brew pub in Gaepo, south of Seoul, was The Booth’s first brewery. Now they have a production brewery in Eureka, California. Nevertheless, you can make the commute out here to find some great beers. Busan’s first craft beer brewery is still one of Korea’s best. Galmegi now has five franchise locations in Busan, but this remains one of the best in one of Korea’s best craft beer neighborhoods: Gwangalli Beach. Galmegi Brewery is a brewpub with ample seating, a full tap menu, and great food. Gorilla is a great brewpub with a rewarding selection of interesting craft beers. Their beers can sometimes be found in Seoul, but you certainly want to drop in if you’re ever in Busan. Hand & Malt has probably been the consenus Best Korean Brewery since it started. They brew fantastic beers including my personal favorites of Extra Special Ale and Slow IPA. Hand & Malt beers can be found in many locations in Korea in both kegs and cans. The brewery itself is quite isolated and doesn’t really function as a taproom. However, from time-to-time there are events and you can always reach out to them and ask about doing a tour. Hop Mori is a small brewpub in the heart of Gangnam’s fashionable Garosugil area. They have an exciting rotation of housemade beers, good food, and regular events. Hop Mori is especially masterful at making fruit-additioned IPAs, although some of their decedant stouts have been masterful as well. The granddaddy of Korea’s craft brewing scene, KaBrew was once the primary contract brewery for all of Korea’s beer companies: Craftworks, Magpie, Maloneys, etc. Now that breweries have sprung up all around Korea, KaBrew has designed their own line and brand of brews which can be found around Korea and at most Korean beer fests. Try their Coconut Porter. Originally started as a contract brewery producing Japan’s Hitachino beer, Korea Craft Brewery has their own beer brand named ARK, which can be found in select grocery stores as well as pubs and restaurants. CraftBeerAsia did a tour when it first opened up back in 2015. Read about it here. After years of contracting out the recipes, Magpie built it’s own brewery in 2016. Magpie has always been on the shortlist of Best Korean Craft Beer and now with its own facility, their quality and consistency is higher than ever. Platinum was another early pioneer in Korea’s craft beer scene, back when running a brewery was almost impossible. They packed up and moved to China, shipping all of their beer back to the RoK. Now with a more favorable environment for small breweries, Platinum are back to brewing in their home country. They have a flagship pub in Hongdae, but their beers are arguably the most wide-spread of all Korean craft beers. Like any of Korea’s contract breweries, The Table have at once made some of Korea’s best known beers but have transitioned into making their own beer. Their beers can usually be found at Korean beer fests or you can stop by their brewpub in Ilsan. The brewpub is open from 4pm-4am. Tours can be arranged, for free, on weekday afternoons. Korean craft beer began with a culture of contract brewing, as government regulations made owning a brewery near impossible for a long time. Although I lot of the early craft beer companies eventually opened up their own breweries, there’s still quite a few pubs with their own brand of beers but without a brewery itself. Here are a list of the best beer pubs that wither have a brewery at a different location or contract with breweries to make their own beer. Limited food; local and imported beer. Notable for own recipes from The Table and imported beer from Mikkeller. This The Booth location is one of the first craft beer pubs in Itaewon. It’s located in the backstreet resturant alley behind the Hamilton Hotel, just upstairs past Mongul India restaurant. One of the first craft beer locations that helped give birth to Korea’s first and best craft beer neighborhood, the Baker’s Table alley in Kyungridan nearby Noksapyeong station exit 2. The first location to open up in Gangnam is located near Funky Taphouse. My personal favorite The Booth location. There’s 2 floors and always lots of seating. The classiest The Booth location, with a romantic outdoor seating area and 3 floors. Amazing bottle selection; beers on tap including their own recipes and imports; corking fee of 2,000KRW if you want to drink a bottle in house; Korean food menu available. Arguably the grandfather of Korean craft beer taphouses, Craftworks was probably the single most influential craft beer pub in Korea’s beer boom. Still serving great food in an ideal location near the Baker’s Table alley, Craftworks is still a solid location for a pint of good beer, a whiskey, or bunch. Craftworks expanded early, but due to a vareity of concerns it eventually contracted to its original location in Namsan/Kyungridan. This Pangyo location, south of Seoul, is a semi-hold out of that contraction. Though not officially “Craftworks” anymore, it still holds the name and offers the beer. Chalk it up to East Asian business idiosyncraties. Nevertheless, this location often throws interesting holiday buffets! One of my favorite Korean-run craft beer bars, this semi-basement pub is small and cozy, and offers one of the most interesting and ever-changing beer selections in Korea. Own contract brews and other local/imported beers on tap; Korean food menu available. Several local and imported craft beer on tap, own recipes; imported bottle selection. Great selection for beer geeks looking for variety as they sometimes experiment with barrel-aging, sours, etc. The original flag planted in the Kyungridan Baker’s Table alley that is now the epicenter of the Korean craft beer scene, Magpie is a founding father of Seoul’s craft beer boom. There’s twin locations here. First is the original Magpie Brew Shop that’s seen from the street, which was originally a homebrew space. It’s small and neat. Across the way is the Magpie Basement, which has more seating and great pizza. Magpie’s second location is in the hip neighborhood of Hongdae. It serves a wide selection of Magpie beer and Magpie’s delicious pizza. Perhaps the first pub offering craft beer in Kyungridan, also the brewing company that makes Southie Irish Red Ale, Combat Zone IPA, and the Garden Lager at The Table brewery; full pub menu with great burgers; other local and imported beers on tap; American-Irish style pub; great craft beer events. Nice rotating selection of craft beer on tap; own recipes; lots of great, unique events and tap-takeovers; limited food menu; same company that owns Made in Pong Dang. Imported craft beer on tap from Mission Springs Brewery in BC, Canada; gourmet pizza. One of my favorite places in all of South Korea, and a must-visit location in Gwangju. Great Canadian pub food, especially the pizza and poutine! Great events. Board games and geek-friendly culture. And a good selection of rotating craft beers. The original Korean homebrew store. You can visit them near Seoul Forest subway station to shop in person, or order from their website. The store is 100% English friendly. A great homebrew shop in Busan was the seed from which grew Wild Wave Brewing. Although their online line requires some comfortable with the Korean language, you should have no trouble in person. Also, they have a decent bottle shop on-site. Started by Hop Mori’s Troy Zitzelsberger long ago, the SBC is a Facebook page that has over 2,000 members. It’s a great resource for catching up on the latest news or if you have any beer questions. There’s a more specific homebrewer version that spun off called Seoul Brew Club – Brewers Group. 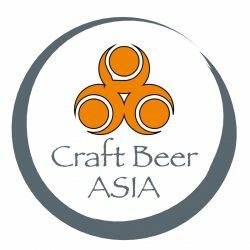 If anyone wants to add a location or information about their business, please email rob.shelley@craftbeerasia.com or www.facebook.com/craftbeerasia.